Dr. Nathaniel Stewart is an independent orthopedic surgeon, part of a group of physicians known as Chippewa Valley Orthopedics and Sports Medicine. Specializing in knee and hip surgeries, he has been performing arthroscopic procedures since the year 2000. 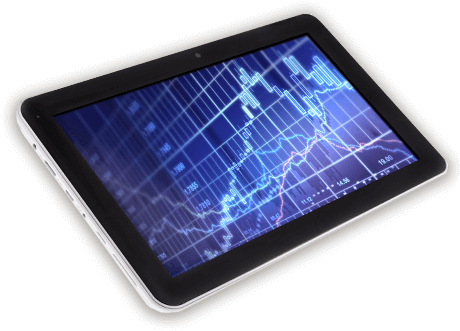 Dr. Stewart needed his professional practice website to position him as a premier provider with a distinct skill set. His mission is to show he delivers improved outcomes for his patients, alongside a smooth patient experience. Dr. Stewart needed to demonstrate the uniqueness of the procedures that he performs, as well as tell success and life-changing stories of the patients he has helped. Collaborating with Dr. Stewart and his team, we created Customer Avatars to understand which audiences would be critical to driving business objectives and most importantly, what factors drive their medical decisions. For Dr. Stewart, the primary audiences were key patient segments and referral doctor partners. In order to effectively market to these segments, we modeled their decision making process and a how a prospective patient might search for surgical services. This focused on the customer journey and what it might look like as a prospective patient moved from knowing nothing of Dr. Stewart to learning how his techniques might improve their lives. The strategic plan involved making Dr. Stewart the clear choice for his ideal patient group. 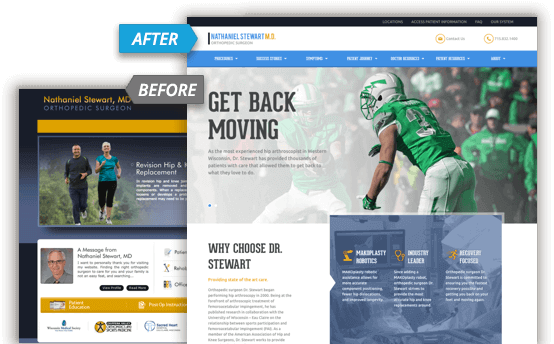 With this as our goal, we were able to design an effective flow for the site and strategically place key calls to action and effective messaging to engage this audience and drive results for Dr. Stewart. Using the website blueprint, we completed a new website for Dr. Stewart. His current and potential patients are now easily able to see what makes Dr. Stewart uniquely qualified to treat their orthopedic needs, find and use the resources available on the website, and, of course, contact him for an appointment There is also a section dedicated to providing resources and advice to other doctors and referral partners. As a medical provider in a network of other physicians, Dr. Stewart relies on new patients coming to visit him for consultations and surgeries. The website and post-launch digital marketing efforts paved the way for lead generation for his new patient relationships. He, as the medical professional, is now able to utilize more of his time with patients, and less time on website updates and marketing efforts.